Exceptional Mediocrity: Government Grants & You! Every year, the United States government sets aside money to be awarded to citizens who pay their taxes on time. This money can be used for education, home repairs, to pay down debts or even to take a vacation. For the government record, how are you planning on using the money? 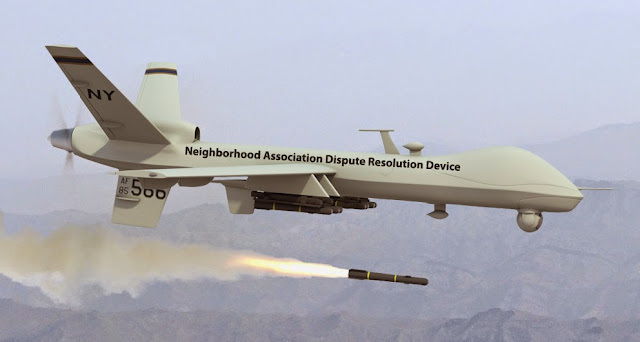 The first time I received this call, I informed the gentleman on the other end of the line that I had been eyeing a black-market fully-armed predator drone and I planned to utilize it in a quickly escalating feud with my next-door neighbor. He requested that I be placed on a brief hold, but I had to hang up as I was getting another call. The second time I received this call, the pitch was the same but the delivery was much different. Instead of a self-assured male voice, I heard a meek and shaky feminine one. It just so happened that during the interim time between these two calls, my Sunday school class was discussing a book about how to show grace in unique ways and one of the featured stories involved a woman who ministered to telemarketers. She reminded us that telemarketers were people just like us with hopes, fears, a history and a future and while they might be annoying, they deserved grace just as much as we did. So, in hearing this young woman’s fragile voice, those words began to echo in my head. Instead of informing her that I planned to utilize the money to fund my social networking site for human traffickers, I politely played along. After several minutes, I even began to imagine a backstory for Sara. She had become ostracized by her step-family after her mother’s untimely death and now shared a one bedroom walk-up in a decomposing area of our nation’s capital. She had been given the number of this telemarketing firm by her roommate and although she would never initiate a conversation with a complete stranger, she now found herself forced to cold-call random citizens and convince them that the Federal government had been tracking them down in an attempt to distribute money it cannot afford to spend. I even went so far as to imagine my own infant daughter, nervous and intimidated on her first day as she slipped on the headset and clicked the next 10-digit number almost guaranteed to provide her with verbal abuse. So when Sara finished her entire spiel, I politely thanked her for taking the time to call me but regretted that I did not wish to participate. I then requested that I be removed from her company’s call list. I am proud to say that I did not return the sentiment and suggest a new location for her headset (mostly because when I called the number back I was informed that it had been disconnected) but I couldn’t believe it. My coworkers were beside themselves, even suggesting that the “naïve newbie” was nothing more than a vocal ruse designed to evoke sympathy and keep suckers on the line. I can only speculate that it was a phishing scam and at some point they would request bank routing information in order to award the “grant.” Are there really that many people who hear that pitch and think to themselves, “This turn of events is so fortuitous it has to be true!” Either way, you need some serious chutzpah to make an unsolicited call to someone and then yell at them for wasting your time. I may have a new target for my predator drone once my government grant comes in….